In anticipation for the game's PC release, the team at Obsidian Entertainment have released a couple of videos for RPG Pillars of Eternity II: Deadfire, showing some of the game's features, as well as the game's main theme. With Pillars of Eternity II: Deadfire set to release on PC in just over a month, the team at Obsidian Entertainment have released a new trailer showing what players will get up to in the upcoming RPG sequel. A media frenzy over Pillars of Eternity II: Deadfire has brought exciting news for console fans: the developer confirmed to Game Informer that a console release would follow the PC version's April 3rd launch. 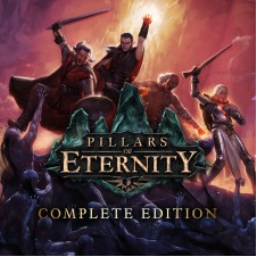 The first Pillars Of Eternity game with trophies was Pillars of Eternity: Complete Edition, which was developed by Obsidian Entertainment, published by Paradox Interactive and released on 29 August 2017. The next Pillars Of Eternity game scheduled for release is Pillars Of Eternity II: Deadfire for PlayStation 4, which has a release window of 2019.